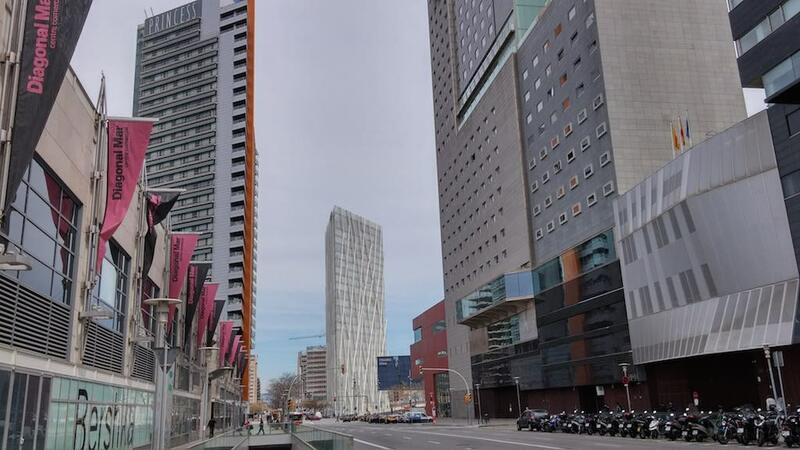 Barcelona’s Forum area, where the housing market is recovering fast. The Spanish housing market (excluding social housing) turned over €47 billion last year, an increase of 23.4 per cent compared to the previous year, according to data from the Housing Department, part of the Ministry of Public Works (Fomento). That represents the first increase in turnover after three years of consecutive declines, and seven years of overall decline, if the data is to be believed. All quarters delivered year-on-year increases in the amount of money invested by home buyers, not including the sale of state-subsidised housing, known in Spain as VPO. The €47b turnover was driven by 347,202 home sales last year, and increase of 22 per cent on 2013. Resales were up 31 per cent to €40b, and new builds down 6 per cent to €7b. Madrid was the biggest market, turning over €9b, followed by Catalonia(€8.5b), Andalusia (€8b), the Valencian Community (€5.5b), the Basque Country (€2b), the Balearics (€2b) and the Canaries (€2b).